Nestled between Devils Tower & Mount Rushmore in the heart of the Black Hills, Sundance is the perfect destination! Sundance provides a supportive economic climate & a community that offers unmatched beauty & recreation. Sundance is situated along the eastern slope of the Rocky Mountain range in the heart of the Wyoming Black Hills. 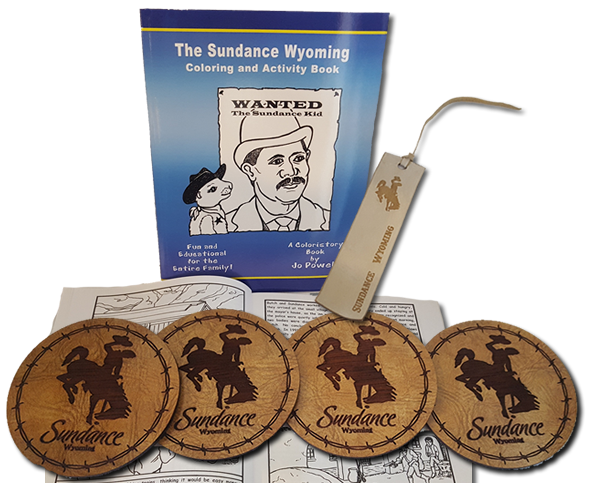 Get your Sundance, Wyoming gear here! Our items make a great commemorative souvenir or a great holiday gift. Shop online now! You can now join the Sundance Chamber or renew your membership online! Payments are securely processed through paypal (you do not need a paypal account, bank cards are also accepted). We still have the option to fill out a form and mail it in with your payment as well. If you are looking for a unique piece of America you'll find it in Sundance, Wyoming. Unparalleled scenery, adventure and history abound. Spend a few hours walking in the footsteps of the Sundance Kid (this is where he got the name) or a few days discovering breathtaking monuments and natural beauty. Nestled between Devils Tower and Mount Rushmore in the heart of the Black Hills, Sundance is the perfect destination for the traveler who wants to see it all. 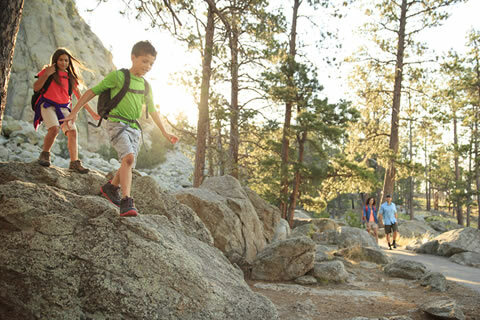 Serving as the county seat for Crook County, Sundance provides a supportive economic climate and a community that offers unmatched beauty and recreation. Sundance Wyoming is nestled in the valley of the Bearlodge Mountains in Northeastern Wyoming on the western edge of the Black Hills. 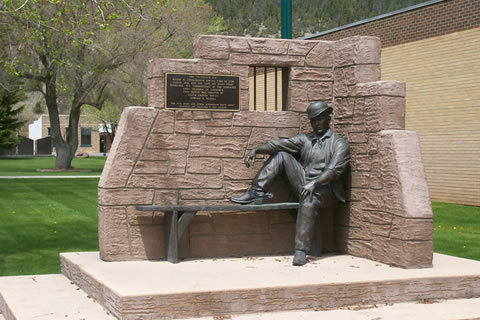 History and folklore abounds in the streets that were made for freight wagons and teams of horses, the Sundance Kid did his only jail time here and you can relive the history in our Free museum, located in the courthouse basement. Sundance was established in 1875 as a trading post and prospered in the wide open frontier of its time. Not much has changed in the 100 plus years - the skies are still huge and Sundance Mountain is breathtaking with its Native American Heritage and its monumental vista towering over this small town, population 1161. 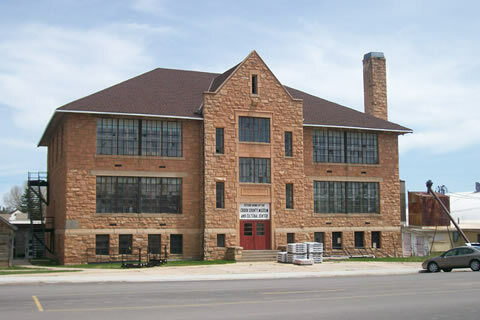 The town of Sundance is in a scenic region of northeast Wyoming. Sundance boasts a quiet, friendly lifestyle coupled with world class outdoor recreation activities and outstanding business potential. Within a 70 mile radius of Sundance you will find a diverse market of over 200,000 people living and working in the Black Hills of Western South Dakota as well as the massive energy deposits located in the Powder River Basin near Gillette, Wyoming. Sign Up for the Free Chamber E-Newsletter by entering your email below. 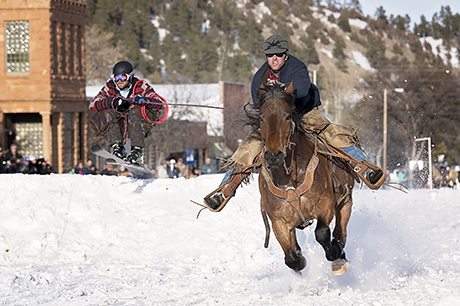 Stay up-to-date with all the Sundance Happenings! Sign up for membership with the Sundance Chamber of Commerce.